The Samsung Galaxy Note7 met an untimely demise due to its longstanding exploding battery issues, and Apple customers in China are reportedly complaining of a similar situation belying their iPhone 6 and 6s mobile devices. Yes, you heard that correctly, iPhones can explode, too. There’s apparently been eight recorded incidents of the device randomly igniting between September 1 and November 30, according to a report compiled by the Shanghai Consumer Council, a watchdog group led by a Chinese government official. Quartz cites a specific incident of an exploded iPhone 6s Plus, originally bought in March of last year. The phone, which belonged to a woman identified as Ms. Chen in the SHCC report, is seen burnt to a smoldering crisp on Twitter, with a broken screen and a deformed and bumpy back surface. Chen’s iPhone was reportedly replaced by Apple, according to Quartz. While certainly not a death knell tantamount to Samsung’s Note7 debacle, Apple hasn’t exactly been on easy street lately, having faced a deluge of complaints from customers whose iPhone 6 devices lose power prematurely. 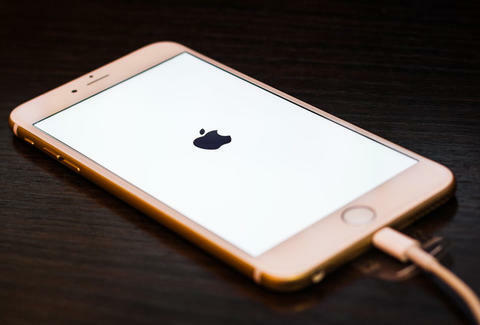 While the Cupertino company has offered a free battery replacement program to disgruntled customers, the fiasco is actually bigger than originally thought. Apple has maintained that a new iOS update to be rolled out next week will eliminate the iPhone 6 battery problems. As for Apple’s China troubles, the SHCC cites a marked uptick in complaints against the company from this year, having registered 2,763 consumer complaints against Apple through November 30. But even with that, Apple is nowhere near the abyss that Samsung entered when the Galaxy Note7 was officially taken off the market and recalled earlier this year. Sam Blum greatly fears spontaneous combustion of any kind. Follow him on Twitter @Blumnessmonster.